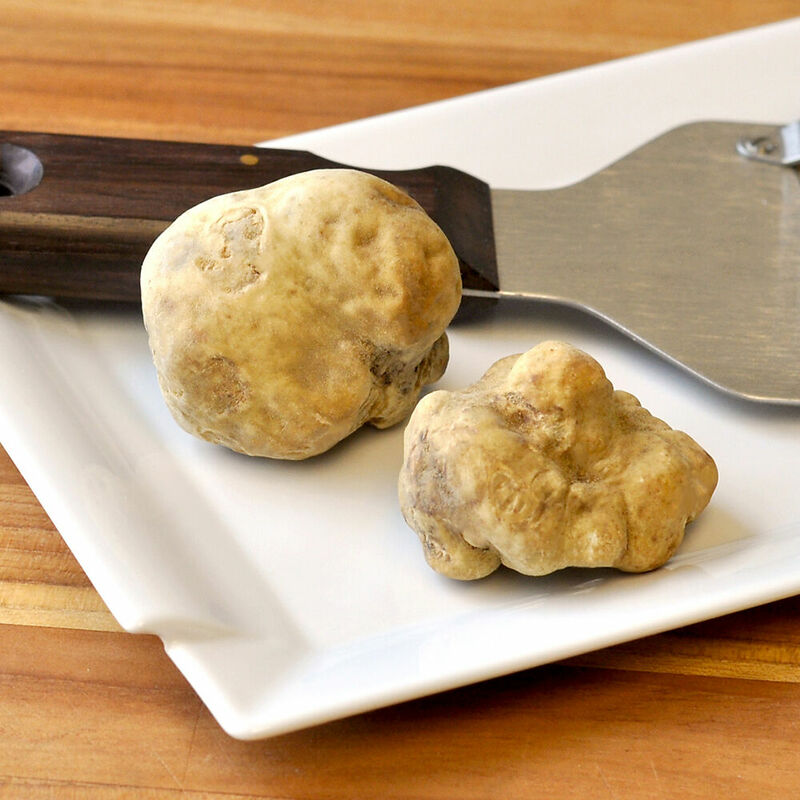 Known as the Alba truffle, the white truffle is famous for its distinct aroma and intense, earthy flavor. This gem of nature is meticulously hand-collected in Italy and flown to D’Artagnan directly. Available only for a limited time each year. Storing/Serving Tips: Once a fresh truffle is out of the ground, it doesn't keep long. To best preserve your truffle, wrap it in a paper towel, put in an airtight plastic container and set in the refrigerator. Do not clean the truffle until you are ready to use it. To clean it, gently remove any dirt that remains with a soft brush, then use the tip of a paring knife to loosen any pockets of dirt in the crevices, then lightly brush again. Avoid condensation and humidity. If you wish, store the truffle with eggs in the refrigerator to impart its flavor into the eggs. Be sure the shells are perfectly dry. Do not store in dry rice, as the rice dehydrates the truffle. White truffles are prized for their distinct aroma and intense, earthy flavor. They are only served fresh: sliced, shaved or grated over a finished dish such as pasta, risotto, vegetables, or eggs. The heat of the cooked dish is just enough to release the aroma of the truffles, enhancing their natural pungency.